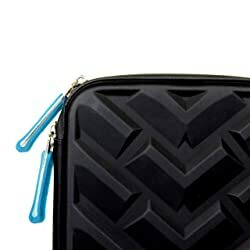 Brand new from Gumdrop Cases is the latest in their Drop Tech Series range for iPad, introducing the Gumdrop Cases Drop Tech Series Protective Sleeve For All iPads – Black/Blue. 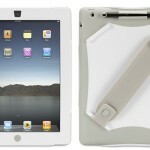 Fitting not only the iPad, but the iPad 2 and brand New iPad 3 to boot, this is one exceptional case. 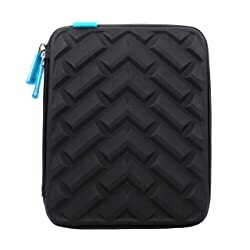 Featuring the rugged and shock-absorbing technology of all the Gumdrop Cases Drop Tech Series, the Gumdrop Cases Drop Tech Series Protective Sleeve For All iPads – Black/Blue combines integrated rubberized bumbers on the inside, whilst on the outside a sleek moulder exterior that’s soft to the touch. 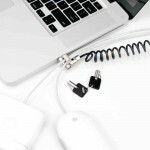 Meaning in one case you get the strength and support of a tough case combined with the feel and look of a soft case. 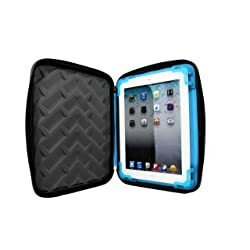 But don’t fear, Gumdrop Cases have made sure that the inside that touches your iPad screen is made soft and cushiony so your iPad comes to no harm. 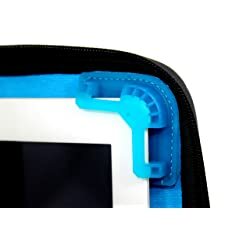 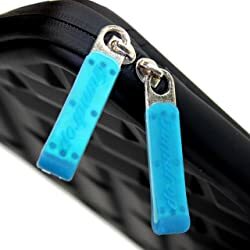 Retain all the functionality of your iPad whilst it is in the Gumdrop Cases Drop Tech Series Protective Sleeve For All iPads – Black/Blue and be sure that it is receiving the best protection possible, more than any other iPad sleeve could offer. 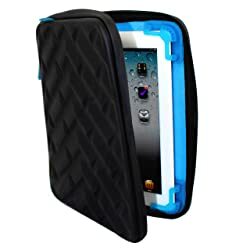 The Gumdrop Cases Drop Tech Series Protective Sleeve For All iPads – Black/Blue is currently available on pre-order at eoutlet and is due to arrive soon!